The Saints have waived running back Marcus Murphy and moved offensive lineman Chris Watt to the reserved/retired list, tweets Josh Katzenstein of NOLA.com. Murphy, whom the Saints chose in the seventh round of the 2015 draft, served almost exclusively as a return man over his first two years, but he became superfluous to the team thanks to its offseason additions of Ted Ginn Jr. and Alvin Kamara. Watt signed with the Saints just over a month ago and looked like a candidate to function as interior O-line depth. That won’t be the case, though. The 26-year-old entered the NFL as a third-rounder of the Chargers in 2014 and started in eight of 17 appearances with them through last season. The Jets have cut wide receiver Devin Street, per Clarence Hill Jr. of the Star-Telegram (on Twitter). New York will use Street’s old roster spot on Lucky Whitehead, whom it claimed off waivers from Dallas on Wednesday. 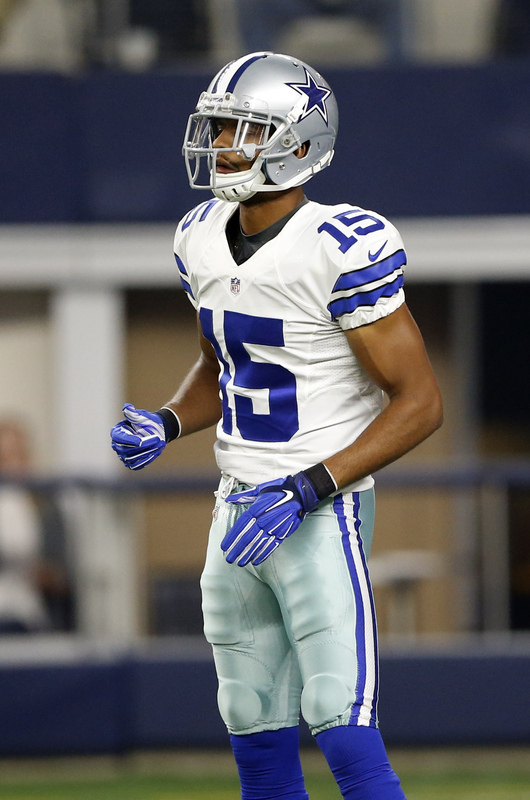 A three-year veteran, Street was teammates with Whitehead when the two were on the Cowboys in 2015. 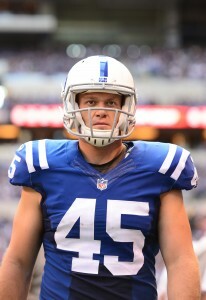 Street was a member of the Colts last season, when he totaled five appearances and one catch. Indianapolis cut Street after the season, and both the Patriots and Jets have since waived him after short stints. Safety Ricardo Allen has signed his exclusive rights free agent tender with the Falcons, who have waived undrafted offensive lineman Cam Keizer. Allen, a fifth-rounder in 2014, has emerged as an integral cog in Atlanta, having started in 30 of 31 appearances and picking off five passes since debuting in 2015. He racked up 90 tackles and two picks across 16 starts and a team-high 1,101 defensive snaps last year. 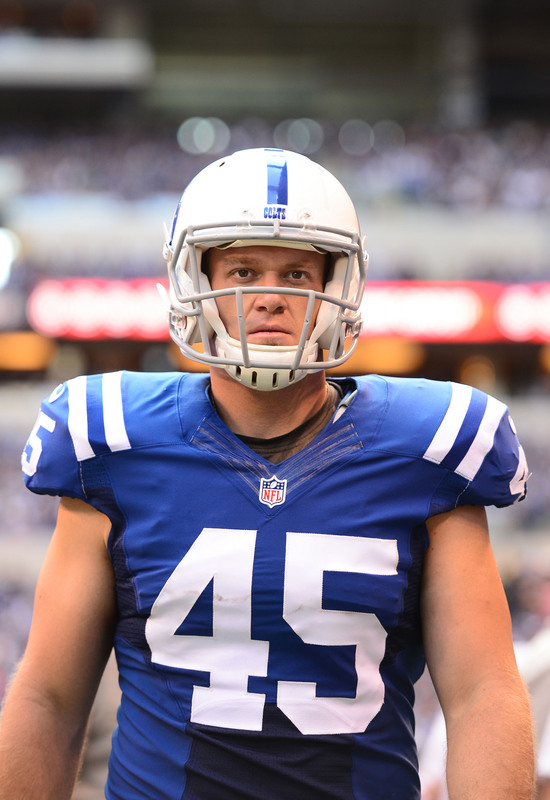 The Vikings have signed cornerback Sam Brown and waived offensive tackle Arturo Uzdavinis. Brown spent some time last year with the Ravens, who signed him as an undrafted free agent from Missouri Western State, but didn’t see any action. Uzdavinis just signed with the Vikings on Monday. They quickly became the fifth former team for the 2016 undrafted free agent from Tulane, who previously spent time with the Texans, Bears, Jaguars and Lions. The Patriots have added defensive end Caleb Kidder, an undrafted rookie from Montana. Kidder previously had a brief stint with Minnesota, which cut him last week. The Jets announced today that they have placed wide receiver Quinton Patton on the injured reserve. To replace him on the roster, the organization has signed wideout Devin Street. 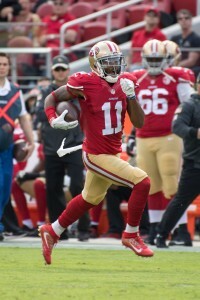 Patton joined the Jets this offseason after spending his first four seasons with San Francisco. After playing in only 10 combined games during his first two seasons in the NFL, the former fourth-rounder saw an increased role in 2015 and 2016. This past season was arguably his best, as the 26-year-old finished the campaign with 37 catches for 408 yards. 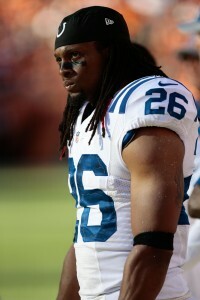 Patton also has brief experience as a running back, kick returner, and special teamer. Meanwhile, Street saw a reduced roll with the Colts this past season. After appearing in 31 games with the Cowboys between 2014 and 2015, the 26-year-old only made five appearances in 2016, hauling in a single catch for 20 yards. Over his career, the 2014 fifth-round pick has collected 10 receptions for 152 yards and one touchdown. Besides the Colts and Cowboys, Street also had two separate stints with the Patriots. Street could have an opportunity to contribute behind Eric Decker, Quincy Enunwa, and Robby Anderson. The Jets are also rostering ArDarius Stewart, Chad Hansen, Charone Peake, and Jalin Marshall, who is facing a four-game suspension. Andrew Hawkins‘ chances of making the 53-man roster just got a bit better. The Patriots will waive wide receiver Devin Street, according to Field Yates of ESPN.com (on Twitter). Street, 26, was claimed off waivers from the Colts earlier this month. He hasn’t done much since entering the league as a fifth-round pick of the Cowboys in 2014, but he was thought to have a shot at making the Patriots’ final cut. Now, the team’s WR group is headlined by Cooks, Julian Edelman, Malcolm Mitchell, Chris Hogan, Danny Amendola, Hawkins, and special teams ace Matthew Slater. Rival teams will have 24 hours to put a claim in on Street from the time his officially waived. If he clears waivers, he will be free to sign with any team.